Not too long ago I started writing series of posts on The ByteBaker. I started two of them: Powerful Python and Sunday Selections. 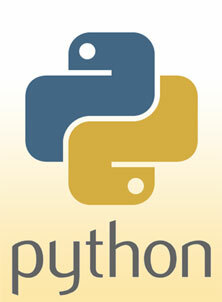 Python is the language that I’m most familiar with and have written the most code in. Over the last month or so I’ve been writing Python day in day out and really exercising my Python chops (as well as getting acquainted with features like generators and decorators). Over the next few weeks I’m going to be writing more posts exploring Python and adding them to the Powerful Python series. If you regularly write code in Python or just have a passing interest, this is something you’re going to like. The second series that I had was Sunday Selections. I try to post two to three times a week, but I didn’t want to leave the weekends completely bare. I also wanted to spend my weekends doing other things (preferably away from the computer). So I started a series where every Sunday I would post links (with brief intros) to interesting things that I had found the week before. I’ll admit that I haven’t been very stable with the post schedule, partly because I kept forgetting or losing what I had found and really didn’t want to go hunting around the intertubes for whatever it is that I liked. Over the past few months I’ve become much better at holding onto things I find online. Using Diigo for bookmarks and Tumblr for “scrapbooking” the web I’ve been managing to keep a good record of all the wonderful stuff I’ve found (and there is a lot of it). So I’m bringing back Sunday Selections as well (starting this Sunday) so stay tuned for a steady flow of Internet-y goodness. I’m really looking forward to writing series posts again. I feel like my writing can sometimes get either monotonous or spread all over the place without any focus. I’m hoping that the series (especially the Powerful Python series) will provide a good path for me to write articles that are coherent and progress along a definite line. Stay tuned.